On Monday Gage turns 19…..so enormously excited to celebrate this day with him, and every day! We are taking him to a St. Louis Cardinals baseball game…it will be his first. 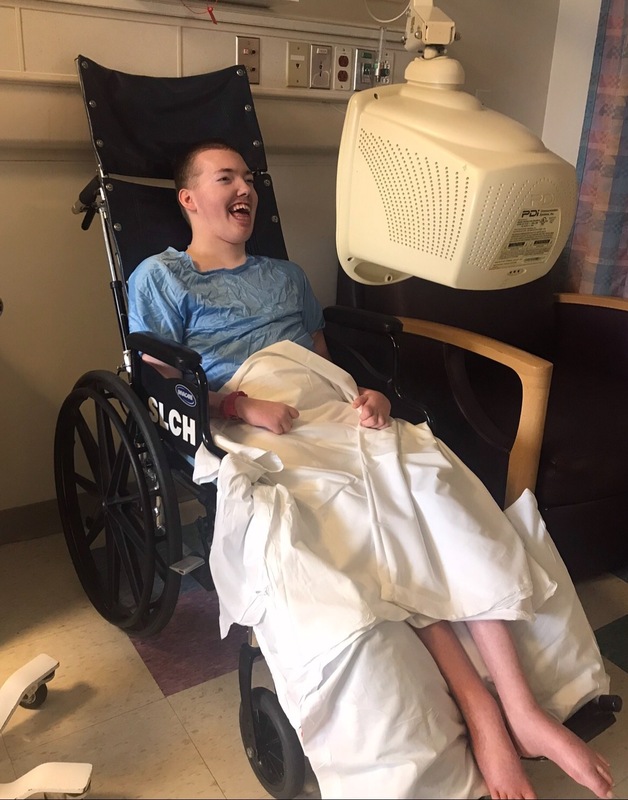 We’ve never known how he would handle the heat or noise, but 19 is pretty epic and he watches them play on TV and is entranced the whole time. Not sure if it’s the colors, the noise of the crowd, or the announcers voices, but we’re going to check that off of his bucket list. On the day he was born, we went from hearing APGAR’s of 9 and 10, to knowing something was different, which turned out to be a complete shift in our parenting skill set. Funny thing is, Greg and I have never traveled through a ‘depressive’ stage regarding Gage, because we knew he was a child wanting to be loved, and it frankly never even entered our mindset. We can recall with detail the day Gage’s doctor told us his liver was compromised and that there was nothing they could do. They didn’t know what was causing it, and didn’t know how to stop it. They felt that his liver and other organs would probably fail and he wouldn’t see his second birthday based on the data. We spoke of the quality of Gage’s life and decided to be sad later. Turning 19 proves that data isn’t always right and God had different plans for both Gage, and us. We’ve found over time that parenting a kid with unique needs is such a thrill. It requires us to change how we view things, to be more accepting, more humble, and certainly more positive. Our glass is always refillable, and we have found that as a team, Greg and I continue to think on the same page. Over the next few years, Gage’s school will be providing him with whatever we’ve asked of them and more. We feel like we fell into the ‘pot-of-gold’ when it comes to schools. It’s considered to be a state school for the handicapped, but it has been everything we have hoped for and more. We could have attempted public school…I work for our local public school…but I knew that would limit how much therapy he could receive, so we chose to afford him the opportunity to work his body as much as possible while stimulating his mind. 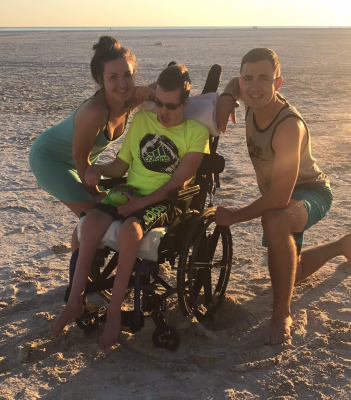 When Gage turns 21, he will ‘graduate’ from his school and can begin to participate in local programs within the community that will come and pick him up, and bring him home. Our community program varies in what it provides and we will design a program together that meets his needs. I will be retiring from teaching at the end of this year, and my hopes are to volunteer at Gage’s school as much as possible so that I can learn as much as possible from the OT’s, PT’s, Speech, Vision, and teachers over the next few years. Gage’s father and I plan to tackle many of the items on our ‘Bucket List’ for Gage after leaving teaching and the highway patrol. We can be sad later, but for now, we are living in the moment and soaking up as much of Gage as we can. Gage’s siblings, Bailey 24, and Taylor 22, adore him and our immediate family and friends provide our family with love and support on a daily basis. 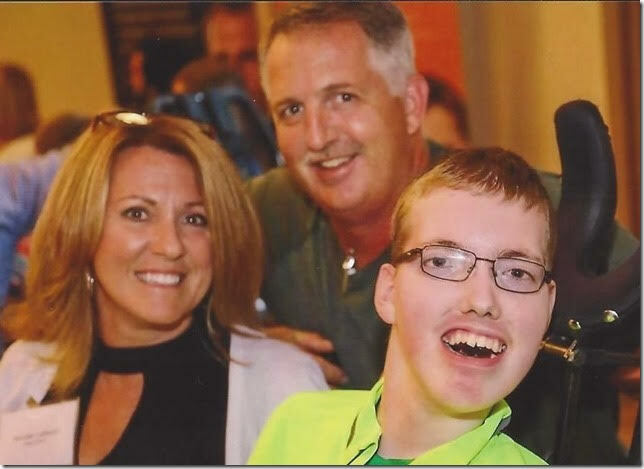 The Grace Science Foundation provides families such as ours a hope to cling to. Each month we’re hearing of the advances being made, and our children need a champion to save them. They need a breakthrough, they need a miracle, they need ongoing advances in science and medicine to come quickly. With the hard work of the foundation, we consider ourselves lucky to have fallen into such a disease that has powerhouses working towards a cure.